I bought this product some time ago as I wanted to try a face mist to use during the night when I didn’t want to be bothered with applying a moisturizer before going to bed. I love The Body Shop items and their values and the ingredients they put in their products so I decided to give it a go. 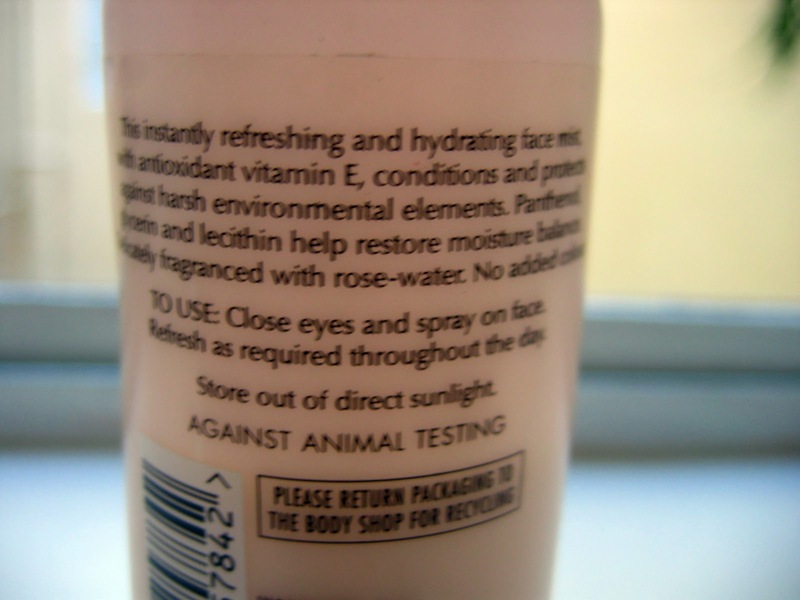 I got mine from eBay but on The Body Shop Website it has a retail price of $16.00 for 3.2 fl oz. Give your skin an instant pick-me-up with a go-anywhere, rosewater-scented mist that moisturizes, conditions and protects. ♥ Vitamin E is a nourishing natural antioxidant that moisturizes and protects against premature aging and environmental aggressors. ♥ Glycerin moisturizes skin to improve softness and maximize hydration. ♥ Liposomes and lecithin help skin to quickly absorb vitamin E and restore skin’s natural moisture balance. 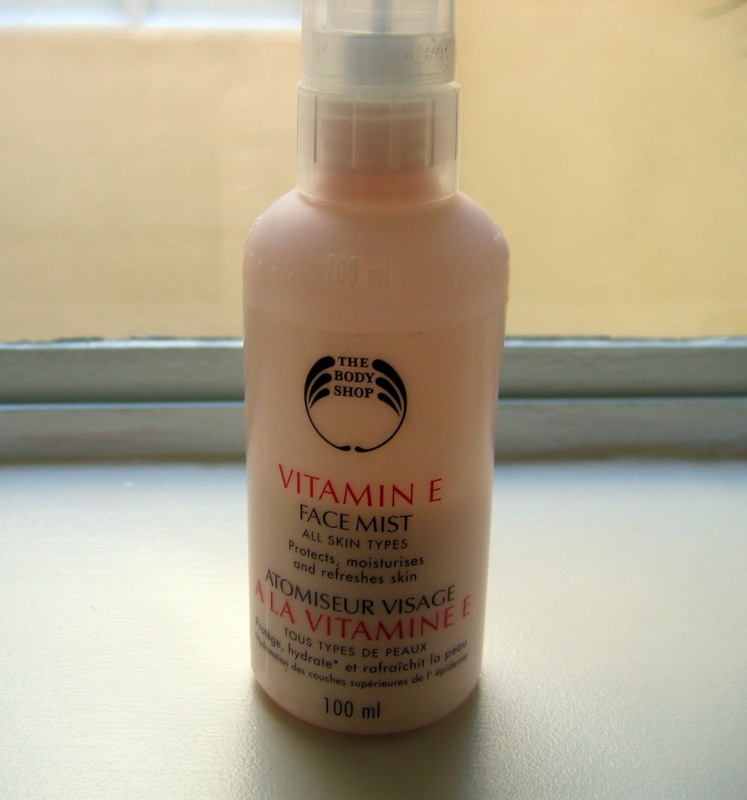 I love this product for a light but hydrating mist all over the face. It dries up fast on its own and it has a nice rose scent to it! I find this particularly useful when I am studying and I don’t go out that much. Do you like The Body Shop? Have you tried anything from the Vitamin E range? @LouLouBarbie: Yes it might be, this has such a pleasant scent of roses 🙂 Thanks for the suggestion. @MadGiraffe: I might try that next. I love the ones from Elf. @Rebecca Lucy: Hope you enjoy it and thanks for following! @Madeline Ann Sophia: Glad you love it too! I use the products from Body Shop too:) I love them. But i like the body butter and scrub that smells like cocoa. @Helene: If you can give it a try, I am also obsessed with the limited edition products for Christmas in Spiced Vanilla from The Body Shop! @Gertrude: Hope you get the chance to try it out!